Price reduction! Looking for a great location in a great neighborhood? 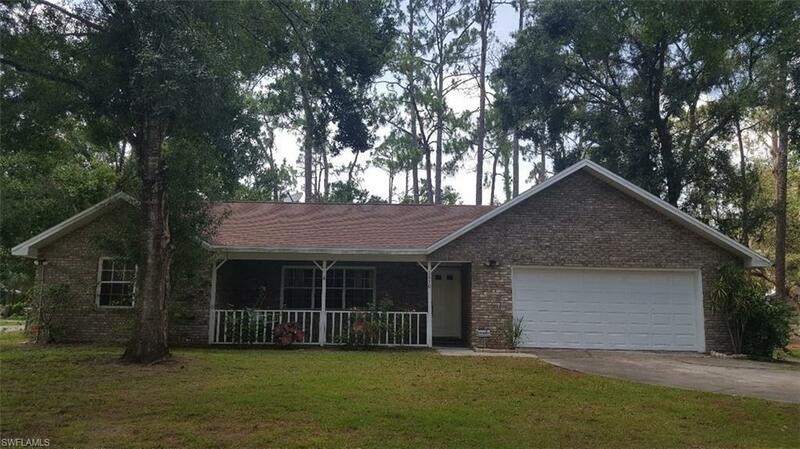 Well we've got it ~ Meet Parkwood Estates Subdivision in desirable Ft Denaud FL. You're sure to fall in love with this unique Brick home with large split floor plan which offers over 2, 100 square foot of living space. Interior features include vaulted ceilings, sunken living room, 4+ bedrooms, 2 full baths and a 2 car garage, inviting front porch and screened rear lanai. Great space for the large family or the avid entertainer. This unique beauty includes a well equipped eat in kitchen, with breakfast bar, pantry, pass thru window, formal dining area and separate den. Three sets of French doors all open to the rear screened lanai perfect for entertaining. Other features include central water, an inviting covered front porch with swing, security system, vaulted ceilings, ceramic tile in high traffic areas, custom built-in book shelf, new roof in 2017 and much more. Situated on a shaded corner lot, on two paved streets, just minutes from shopping, dining, schools & the Caloosahatchee River. Easy access to Highway 80 makes for an easy commute to Ft Myers or West Palm Beach. Call for your appointment today!.